SKU: SC 001xl. 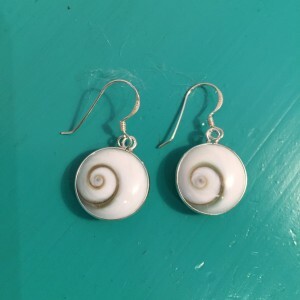 Categories: Earrings, Shiva Eye. 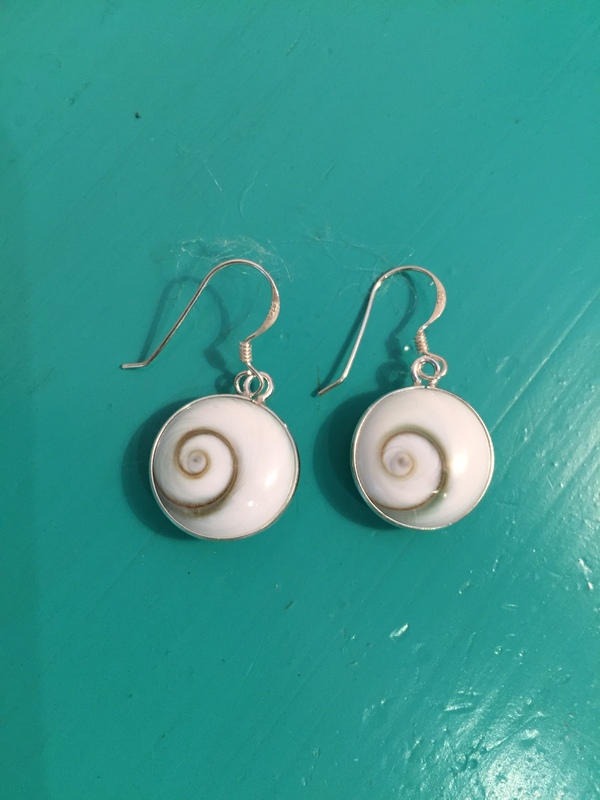 These Shiva Eye round drop earrings are lovely. 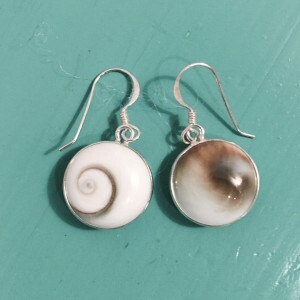 They are made using the Shiva Eye shell set in Sterling Silver. With a 15mm diameter they are just the right size to be noticed but not too big to be overpowering. 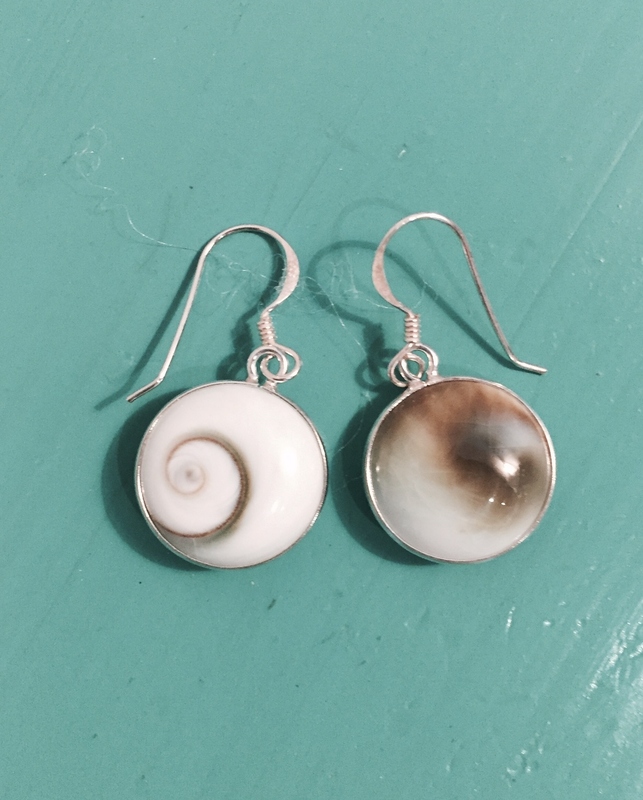 The Shiva Eye shell os actually the Opercule from a Turban Snail. Whilst alive it serves as the snails protective doorway. When the snail dies, the opercule falls off and washes up on the beaches as a seashell. The Shiva Eye shell has two sides. 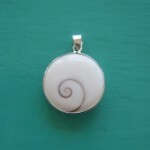 The eye-catching white spiral side and the browny, green hues of the eye on the back. 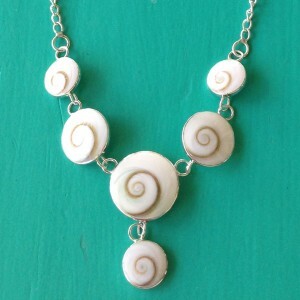 Some say the Shiva Eye shell brings luck and happiness and good fortune when stored with money!